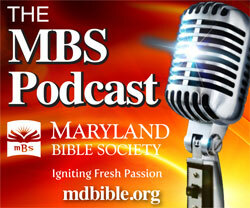 In light of our focus on igniting fresh passion for God’s Word and our advocacy of the greatness of God through His Word, we at Maryland Bible Society are especially excited to partner with Back to the Bible. Back to the Bible spent 7 years in research to determine what makes the greatest impact in accelerated and sustained spiritual growth. They found that daily Bible engagement was the absolute best tool for spiritual growth. Using this data, they developed the goTandem app. A product of years of research, goTandem is designed to help people engage the Bible throughout the day by giving you Biblical reminders, exhortation and encouragement. The distinguishing feature of the app, and what we are most excited about, is that these reminders are customized to you, based on your answers to a short series of questions about your Christian life and challenges. Our app then delivers to you thought provoking Biblical content throughout your day to help you receive, reflect on and respond to God’s Word. 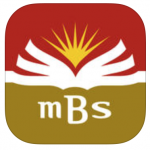 If you would like more information on the new app or if you are interested to learn how your church or ministry can have your own customized white-label Bible app, please call Cathy Johnson at 410-685-4040 or cjohnson@mdbible.org.